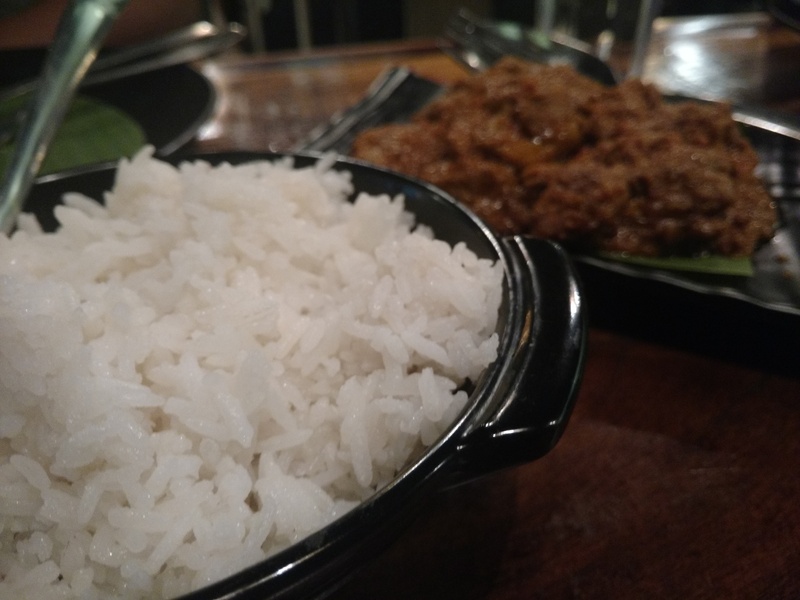 Nasi and mee, literally means Rice and Noodles. 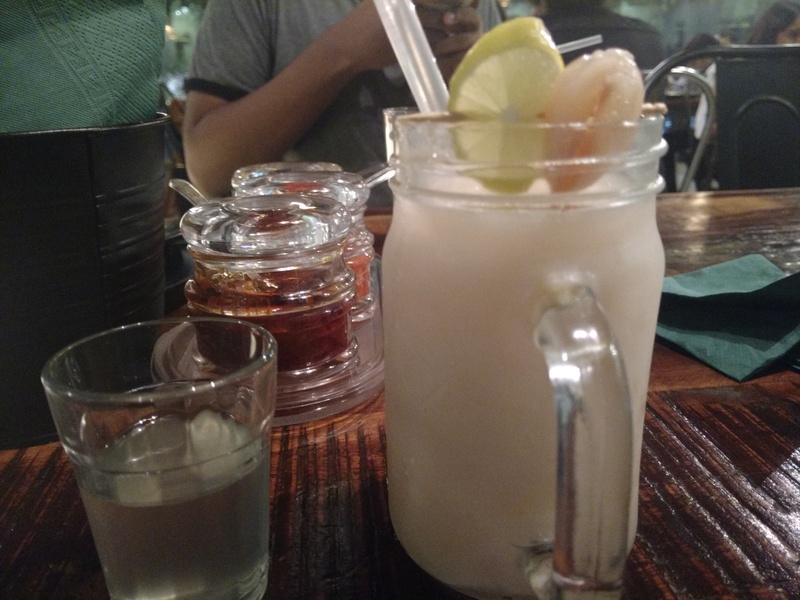 Good ambience, good food and good service. Started our dinner with prawn dumplings, malaysian chicken satay and hot and sour soup. 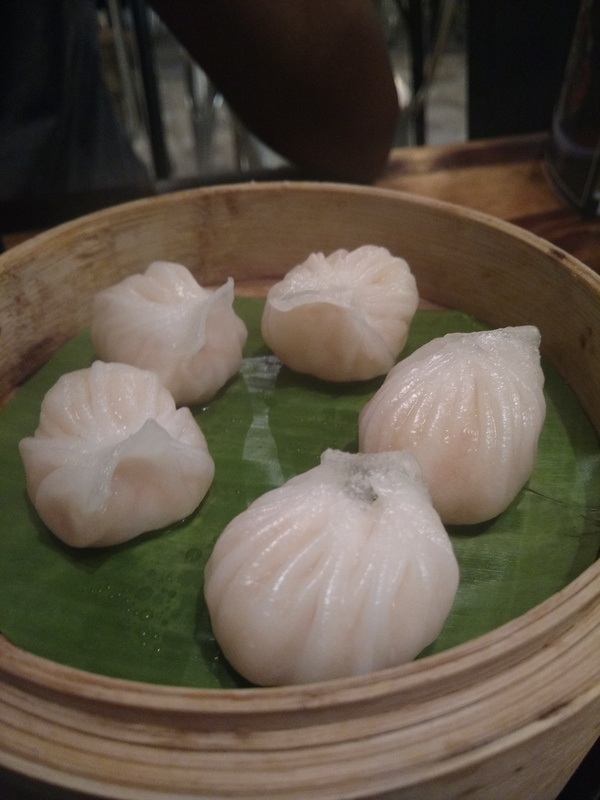 The prawn dumplings( prawn har how) was yummy without any seasoning or flavour. 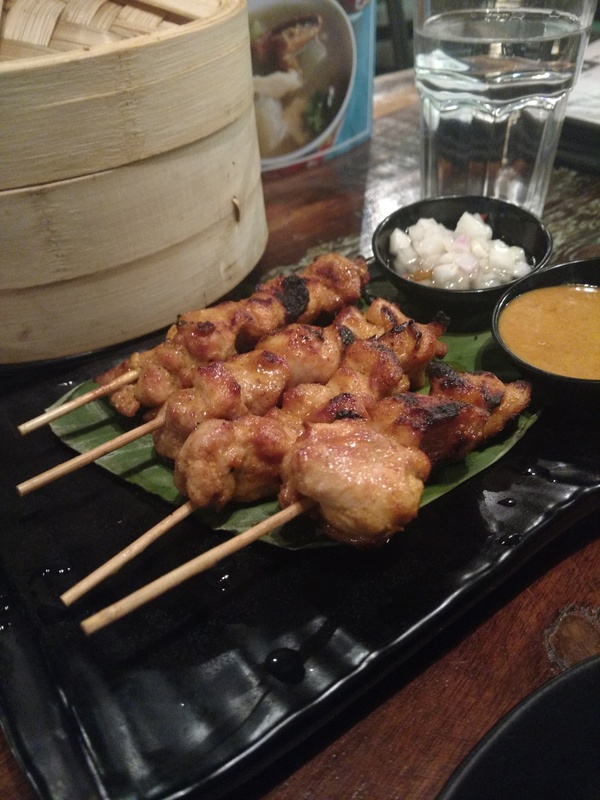 The chicken satay had well balanced flavour. 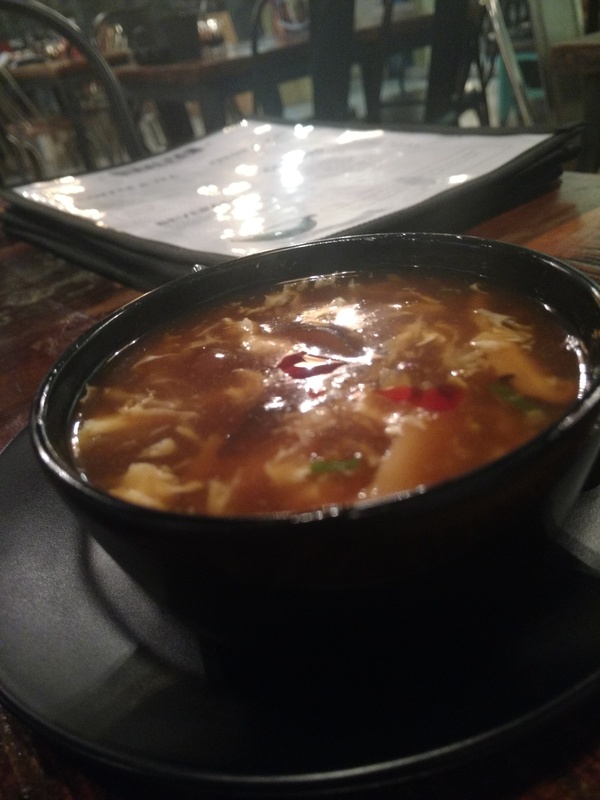 The hot and sour soup was mild spiced with yummy shitashi mushroom. 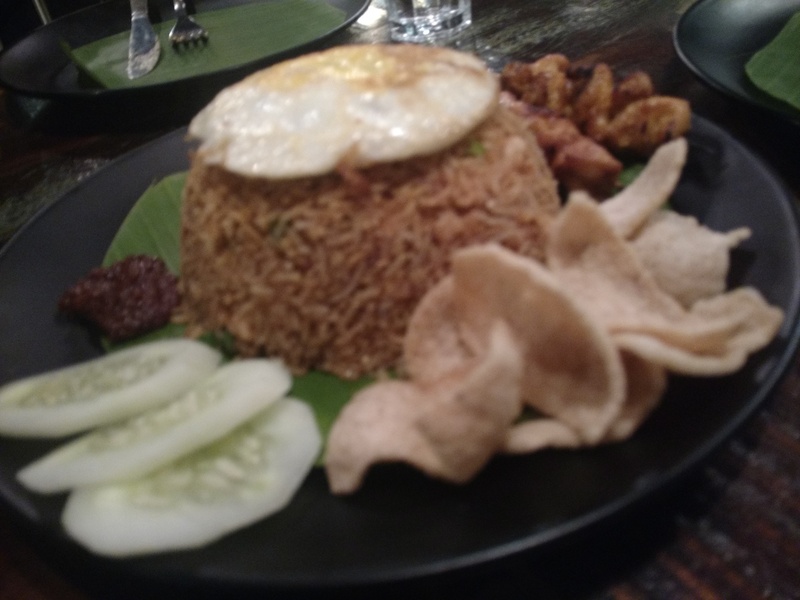 The main course was N&M nasi goreng chicken and lemak rice with chicken Rendang. 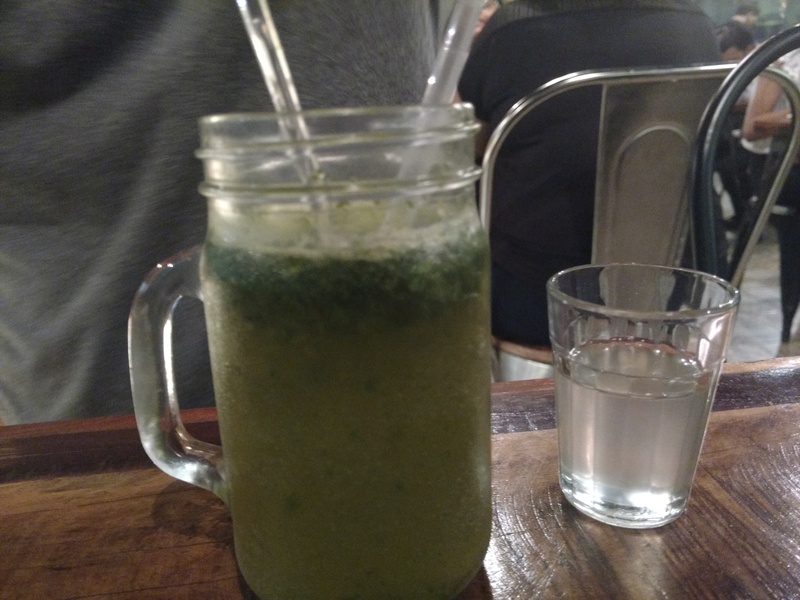 We ended our dinner with lychee and lime spritzer and crushed mint and lime soda. Well I really don’t like the brain freeze the crush gives me. So would pass this the next time. A good evening with good food. ← Fusion Dinner -Spaghetti topped with fried tofu, peanut sauce and garnished with spring onions.